I remember as a boy watching the movie The Wizard of Oz for the first time. 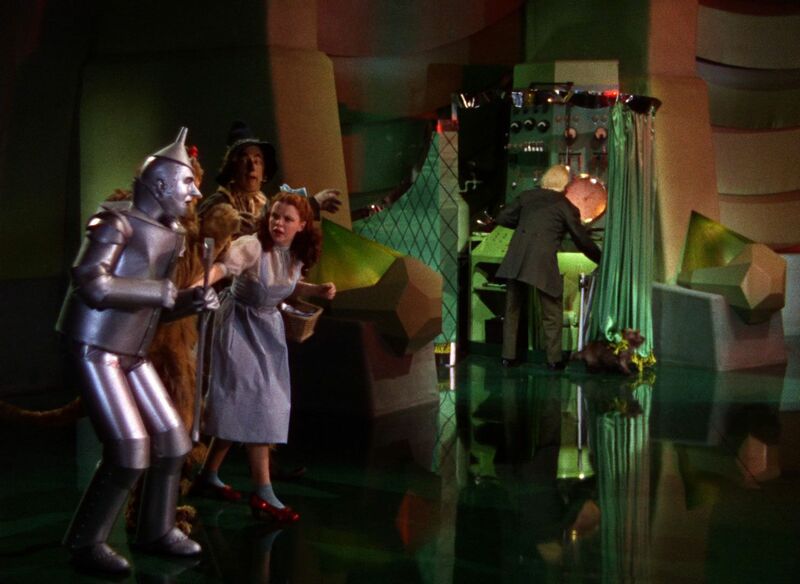 Like the cowardly lion, I was terrified when the great wizard of Oz made his first appearance in the movie. Only later, when Toto pulled back the curtain did I realize the great and mighty Oz was really a stammering carnival conman from Kansas. That day I learned an important lesson: When you pull back the curtain, things aren’t always what they seem. Jane hadn’t been to a church in years. A friend invited her to visit his church down the street. Jane was overwhelmed with how wonderful it was. The people were friendly. The music was inspiring. Even more importantly, she learned so much from the pastor’s sermons. She grew closer to her God and Savior. She loved her new church home. Jane decided to become a member and get involved. That’s when things started to change. She offered to help with a church picnic, but was soon saddened by the way the ladies in charge talked to and about each other. Then she began attending the monthly congregational meeting. The meeting wasn’t like going to worship. The discussion revolved around money. The business was slow and the topics mundane. At the second meeting she attended, two men from the congregation got into a heated debate about whether or not the church should buy a new riding lawn mower. The pastor made a snide remark to one of them and the other stormed out. Jane became disillusioned with her new church. Worship was never the same. The curtain had been pulled back. She could never look at her pastor and fellow members the same again. Sadly such stories are all too common in Christian churches today. Initially visitors are enamored with friendly people and wonderful worship, but then the truth comes out about struggles behind the scenes. Weaknesses or sins of the pastor become public. The curtain is pulled back and people become disillusioned. Many leave the church and some even leave the faith. As pastors and churches, what can we do about this sad phenomenon? First of all, as Christians and especially as pastors, we need to remember that we have a big sticker on our foreheads which reads: Property of Christ. How we live and act directly affects how people see Jesus. Whether fair or not, many in our world judge Christianity by the behavior of Christians. So reflect Christ’s love, not just as you worship on Sunday morning, but also in congregational meetings on Sunday night and at work on Monday morning. As sinful human beings, however, we are not always going to be a positive reflection of our Savior’s love. No matter how wonderful the church, the stain of sin still seeps through its walls. No matter how pious the pastor, sin still rushes through his veins. No matter how hard we try, every church has its warts and scars. So how do we keep people from becoming disillusioned when they look behind the curtain? Simple. Get rid of the curtain. No, I am not suggesting you hang your dirty laundry out for all to see. I am not encouraging you to publicize your failings and weaknesses. But as pastors and churches, you can openly admit you aren’t perfect. You can talk honestly about your weaknesses and confess your sins. You can show the world what it means to be sinners who appreciate God’s amazing gift of forgiveness. They can’t become disillusioned if there is no illusion. Great post with wonderful reminders, Pastor Andy!! Kim, that is something with which I struggle often as a pastor. I see people joyful and zealous when they first become members of our church, but then the joy gets somewhat diminished as they get more involved and see that we are definitely not heaven on earth. That is the sad reality of still struggling in the church militant. I don’t know about you, but I can’t wait until we become the church triumphant.